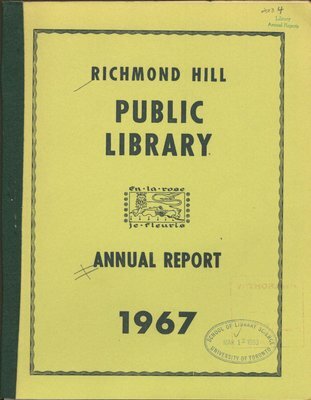 The 1967 Annual Report of the Richmond Hill Public Library. Includes a list of library board members, financial report, circulation report, description of library services and activities. Pagination is inaccurate. Pages 2-12 are marked as pages 3-13.